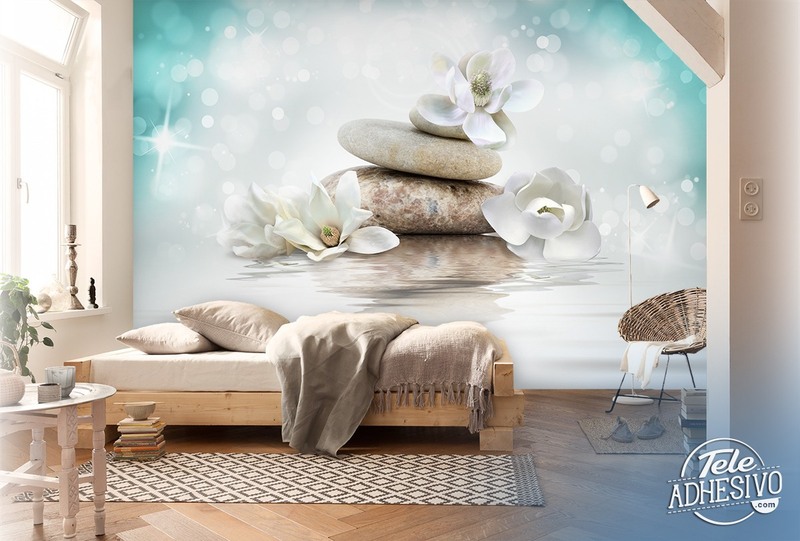 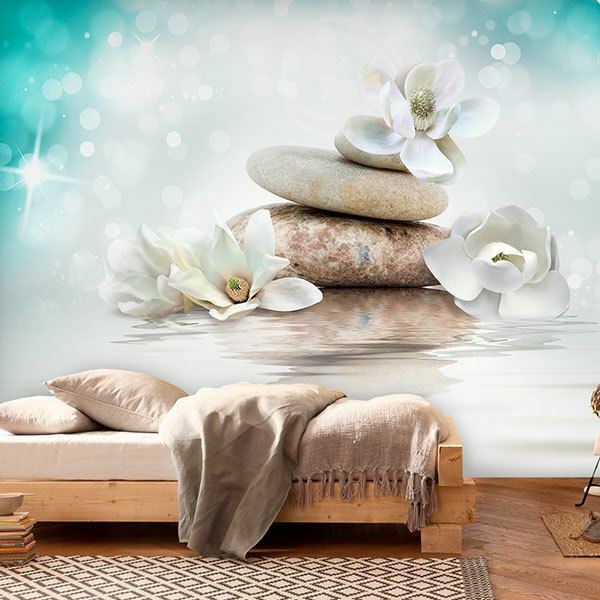 Wall mural Zen Awakening. 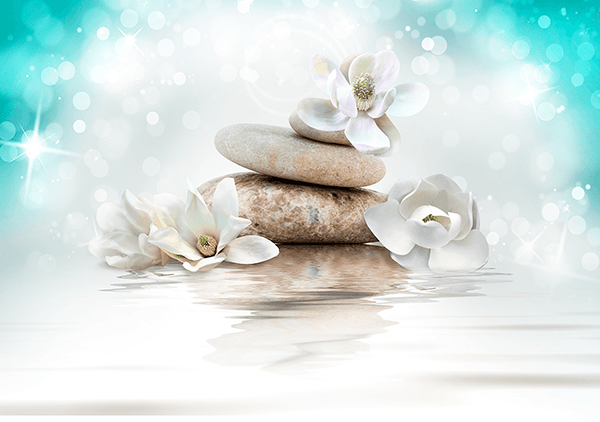 Amazing image of serenity and peace of several stones piled among white flowers, sparkles and water. A fabulous image to turn any room in your home into a mystical place of rest, from a room, to the bedroom or even the bathroom.